Is Clutter Affecting Your Child’s Mental Health, plus Christian boarding schools and Christian boarding schools. It is the eternal struggle, “clean up your room.” Have you ever stopped to consider that your child’s messy room is causing them just as much distress as it is causing you? After reading a great article by Ruth from Living Well, Spending Less about taking her children’s toys away and how it actually brought about positive changes in her children’s behavior, I started thinking how my kids’ mess is affecting them. After weeks of this daily circus, and then reading Ruth’s article, I was ready for some change. I believe that clutter is unhealthy. I have read many articles and studies about this fact. If you don’t believe me you can read this article, Tackling Clutter to Improve Your Health via The New York Times or another article here, Got Stuff? Typical American Home is Cluttered with Possessions—and Stressing Us Out via Time. So with new inspiration from Ruth, I was ready to make a change. The first thing I had to decide was how I was going to tackle my daughter’s crammed room full of toys, clothes, and papers. I am not heartless so I didn’t want to just go and throw away everything. I also feel strongly about donating anything that another person could get use from so there had to be a plan. I also decided I couldn’t get rid of all her stuff, and I was going to allow my daughter to keep four bins of toys that we would rotate throughout the year. I brought in some huge trash bags, and started to sort through the mess. Once I had four bags filled with trash and donations, I was ready to appreciate my day of labor. Four bins of organized toys ready to be rotated, a clean floor, and room to breathe brought a smile to my face. It was a huge relief for me. 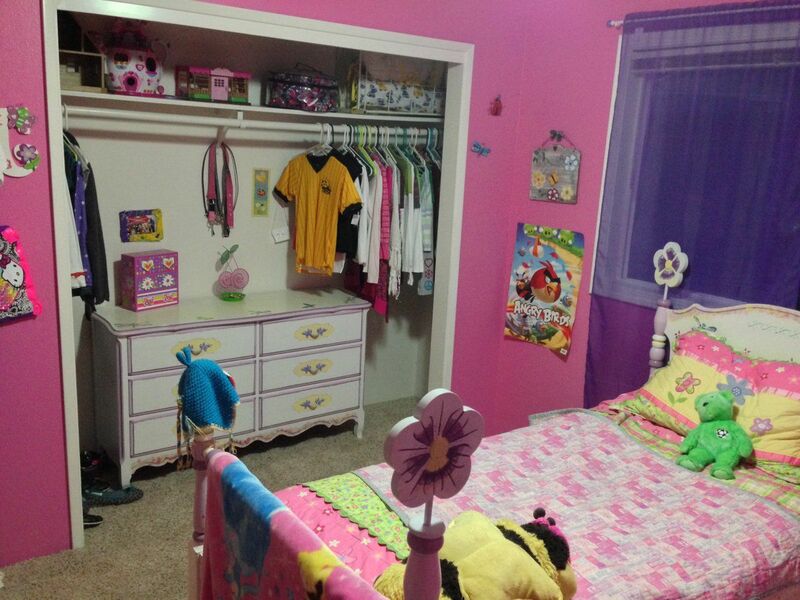 What was amazing was how excited my daughter was to see her clean, clutter-free room. She thanked me and told me how much she loved her room! Instantly, I was convinced that I had made the right decision. I doubted that I would see much noticeable change in my daughter’s behavior but I was surprisingly mistaken. My daughter immediately gained a new interest in playing outdoors, and reading. We already don’t do much screen time and without the distraction of all her clutter she was free to be a kid. The healthy sort of kids you don’t see much of these days. The ones that love to read and play outside in the fresh air. What do you think, did I go too extreme? Is clutter a problem for our kids? Let me know what you think. Should you need help finding boarding schools or military academies or therapeutic schools or behavioral schools for teens, please let us know. Therapeutic programs and schools like this will provide treatment for troubled teens. Boarding Schools (Emotional Growth Schools and Therapeutic Boarding Schools) provide supervision and counseling for at-risk teenage boys and girls. Rehabs for teens provide addiction counseling and drug abuse recovery. Residential Treatment Centers offer clinical treatment with both academic and behavioral support, plus medication management and medical monitoring. They treat adolescents with serious psychological and behavioral issues, are highly structured, and they offer recreational and adventure activities. Is clutter affecting your child’s mental health? This how one Mom got fed up with her daughter’s clutter and did something about it.